Description - Bring New Orleans home with Joy Carpets Fleur-De-Lis carpet. Resistant to staining, wearing, soiling and mold makes this carpet the perfect floor for any home theater room, cinema or basement. 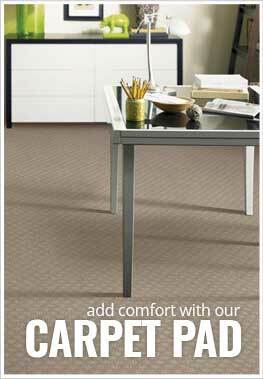 Backed by a lifetime warranty, this broadloom carpet is very easy to clean and maintain. Made in the USA, Joy Carpets Fleur-De-Lis carpet is Class 1 fire rated and Green Label Plus Certified. Recommended Uses - Joy Carpets Fleur-de-Lis carpet is the perfect floor for any home or business and can be found as flooring in family rooms, as basement flooring, in home theaters, in cinemas, as flooring in rec rooms, and much more. Mold, stain, soil and wear resistant. Can this be made into a stair runner? Hey, you could cut the roll to size. The carpet looks great and adds a 'royal' feeling.